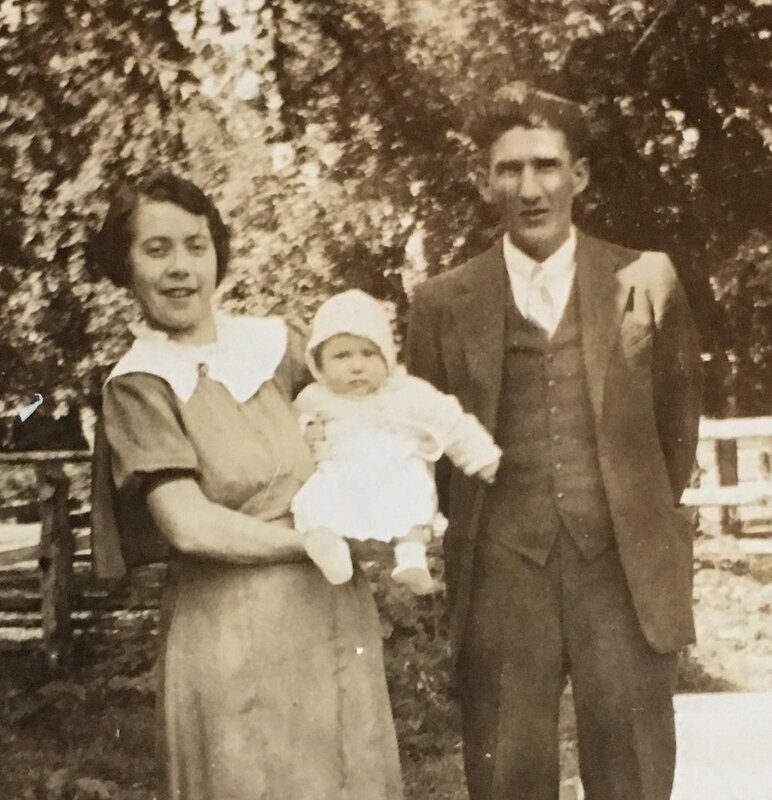 Our brewery carries the namesake of co-founder Jocelyn Dwinell Leigh's great-grandmother, Frances Almira Dwinell. Born in 1906, Frances spent her early years in Ericson, Nebraska. During the dust bowl, Frances and her husband Jay Forest Petersen set out for the adventure of a lifetime, heading west to California and then to Washington, where they eventually settled. The path Frances took is much like ours. We've traveled westward from Chicago, Illinois where we met, to take root and start a family business in Goldendale. In honor of her strength, determination, and hospitality, we named our brewery Dwinell Country Ales. Justin, a student of literature and practitioner of law, now specializes in completing paperwork and cleaning our brewhouse. He enjoys eating pickled foods and waxing philosophical: "When you change the way you look at the world, the world you look at changes." Jocelyn, opera singer by day, brewster by night, oversees the day-to-day operations at our brewhouse and tasting room. When she's not singing to fermenting beer, she can be found seeking perfection in her sourdough starter and collecting bottles of New Belgium's "La Folie." Do you love beer? Do you love talking about and sharing beer with others? Then you might be the perfect person to join our family! Food Truck Parking Available - We have a space in front of the Dwinell Country Ales Tasting Room that we have designated for food truck parking. The space has excellent visibility on W. Broadway St./SR 142, a popular high-traffic route that connects SR 97 to the Glenwood Highway and SR 14 in Lyle. There is ample on-street parking. You will have access to electricity, water, and sewer. We will assist with permitting through Klickitat County Dept. of Health and business licensing with the City of Goldendale. Rental rates are negotiable. If interested, please contact jocelyn@countryales.com.